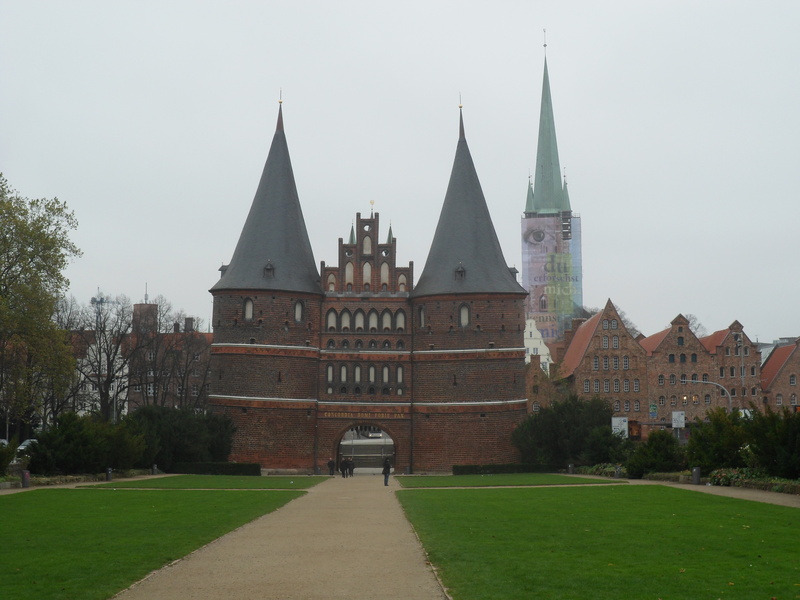 Earlier in November I attended the eighth Melammu Symposium in Kiel (with an excursion to Lübeck on the day after). This year was smaller than last, with about 30 attendees after some people who had agreed to give posters dropped out. Participants specialized in a wide range of places, times, and methodologies, from Christian Sogdian book culture about the year 1,000 to women in Elam in the third millennium BCE. As often happens, talks and the formal responses to groups of talks ran long. This week, I think I will write about some of the posters and talks related to the Achaemenid empire or military history. Fabian Winklbauer presented a poster on the government of the Achaemenid empire. This is a proverbially difficult subject, since the documents are not self-explanatory, while the Greek and Latin literary tradition does not worry about such details. On the other hand, we do have a great many documents in many languages, and the Aramaic documents from Bactria suggest that the situation in one region from which few documents survived resembled that in regions where more are preserved. I hope to see more of his work in future years. Agnieszka Wojciechowska compared the two Persian conquests of Egypt, by Cambyses and by Artaxerxes III, and argued that while many Egyptians accepted Cambyses, Artaxerxes refused to behave as a pharaoh was expected to and was never seen as legitimate. This lead to continued disturbances, such as the revolt of Khababash, until Alexander arrived and demonstrated that he would act as a traditional pharaoh. It is likely that troubles in Egypt shaped the Persian response to Philip and Alexander more than we know, especially if she is correct that Artaxerxes took Egypt in 340/339 not 343/342 BCE. Sabine Müller explored traditions about Alexander and his men encountering loot and descendents of prisoners from Xerxes’ invasion of Greece. She pointed out that sources sympathetic to Alexander were eager to remind their readers how horrible the Persians had been when they invaded Greece, whether or not what they saw cooperated. The story that Alexander represented the Greeks and was avenging the Persian Wars was used to justify his own looting and slaughter, but left him open to the charge of being no better than the Persians. Jake Nabel considered why in the first century CE the Parthians began to emphasize their Iranian connections at the expense of Greek language and culture. He suggests that this was a response to the Romans, who identified themselves as the Greeks and the Parthians as Persians and released hostages indoctrinated in Rome to claim the throne. The discussion afterwards bounced back and forth some ideas about how the Parthians understood Roman demands for hostages, and how they meant to deal with them. The Parthians often asked foreign powers to send them hostages, so were familiar with the political use of hostage-taking, while its unlikely that the candidates who they sent back saw themselves as puppets or foreigners. Jonathan Valk discussed the deportation of conquered peoples by the Neo-Assyrian kings. Many of these deportees were settled in Assyria proper and treated like the lowest class of native Assyrians, working the land and paying the labour-tax or ilku (some people translate this responsibility to provide service for building projects or in the army with the French word corvee). He argued that the Neo-Assyrians saw deportation as a punishment but not a way of rewarding themselves, since providing deportees with food and clothing was expensive and since prisoners tended to be deported from distant, troublesome areas rather than nearby, populous ones. One can find parallels for both motives in world history, and I wondered if the debates about why the Roman republic went to war might help. Some scholars see the Roman republic as greedy and aggressive, while others note that the Romans often refrained from claiming a region as a province. Both work from the way that the Romans themselves presented their actions. Analyzing their arguments might provide models for determining Assyrian motives. Broad conferences like Melammu always contain some talks and posters which are more interesting than others, and attending them is tiring, but they are important in keeping all the different fields which study the ancient world in contact. The evidence for ancient history is at once tragically inadequate and stunningly diverse, while the scholarly literature is intimidatingly large. Of necessity, scholars have to specialize in a few methods, places, and times. An archaeologist of Iron Age Anatolia reads different journals, practices different methods, studies different sources, and has different ideas about how to find the truth about the past than a specialist in Roman Judaism or the history of the Parthian empire. Yet the ancient world is a continuum which we break into pieces for our convenience. Conferences like Melammu remind us that the ancient world was bigger than the part which we study, and that those other places and times are not necessarily alien to ones which we know better.